There is very little evidence-based research that explores the influence of cultural background on patient experience of health services and facilities. 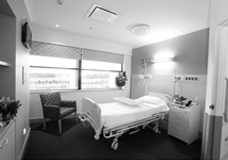 This project investigated the experience of culturally and linguistically diverse (CALD) women when accessing maternity services in Australia’s public healthcare system, to explore whether more culturally appropriate facility design could result in better health outcomes. This research project demonstrates the value of using design ethnography to understand the impact of culture and language diversity on user experience of a service. Design ethnography allows us to see patterns of behavior in a real world context - patterns that we can understand both rationally and intuitively. This method revealed an important insight into the systems-level conflicts that contribute to user experience. The project also tested and developed effective engagement protocols for CALD women, health professionals and public servants each operating within complex systems. As a trained architect with an interest in the design of public places, Angelique began this work in collaboration with NSW Health and CHAA (Centre for Health Assets Australia), who were responsible at that time for the Australasian Health Facility Design Guidelines. NSW Health were concerned about the low presentation rates of particular groups of women in utilising maternity services offered by the public NSW health service. This study sought to better understand the reasons informing these rates, investigating whether more culturally appropriate facility design could result in better health outcomes. The project focused particularly on the experience of culturally and linguistically diverse women, for whom the social, cultural and political dynamic of health services is complex with regards to often-conflicting cultural tradition, religious beliefs and compliance requirements of modern medical practice.